I might not know a lot, but what I do know is a good ankle boot when I see one. 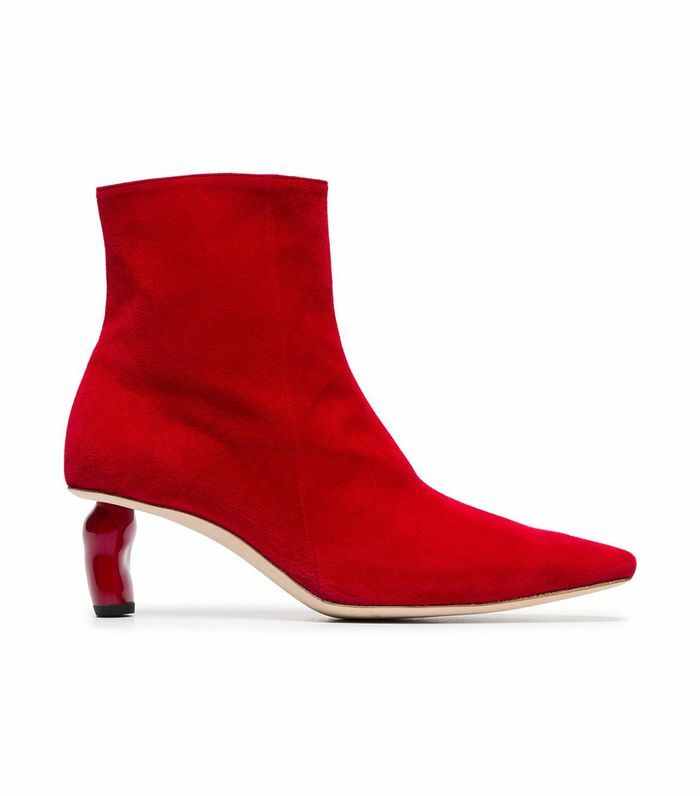 To preface, no, I am not actually buying all 20 of the ankle boots you're about to see right this instant, but I will own them before the end of the year, and that's a fact. After wearing and tearing through too many boots to count, I can say with confidence that I know when a pair of shoes is worth investing in and when they aren't, and the 20 I've selected here are worth every penny. This year, whether I'm in need of a solid everyday pair of black ankle boots or searching for that special pair that will take my going-out look to the next level, I am vowing to use this gorgeous (if I do say so myself) list to guide all of my 2019 ankle-boot purchases. Ready to see which chic-to-death shoes I'm craving this year? Red boots can be worn in any season and pretty much with every outfit. My black cowboy boots are all kinds of scuffed up, so a replacement pair is necessary stat. I plan on wearing these with jeans, dresses, and everything in between. Quite possibly the chicest white ankle boots I've ever seen. Tibi boots are the designer boots I'll invest in till I die. For anyone living in New York, there's no denying the power of a sturdy pair of hiking boots to wear rain or shine. Snakeskin boots with a bit of wearable flair thanks to the gray and green tone. I have had these in white for over a year, and you can tell. It's time for me to finally invest in the black pair. Cinderella would definitely approve of these. My co-worker owns these, and I've tried to restrict myself from buying a pair, but clearly, I have no willpower. Hiking boots mixed with sneakers is my new aesthetic for 2019. These black boots are perfect for everyday outfits and going-out looks. I own a black and a white version of these, but obviously, my lack of willpower is getting the best of me yet again. I never knew I needed a pair of flat boots so badly. Weather-proof and insanely cool all in one. Okay, just one more pair of cowboy boots—I promise. This is a shoe brand you should definitely keep your eye on this year. The sneaker–hiking boot duo strikes again. Last but not least, the everyday black ankle boots I've been telling everyone about. Next up, shop 42 sale finds that will be game changers in your wardrobe.